Showers- Adult men and Boys at Venango Catholic- 7 showers. 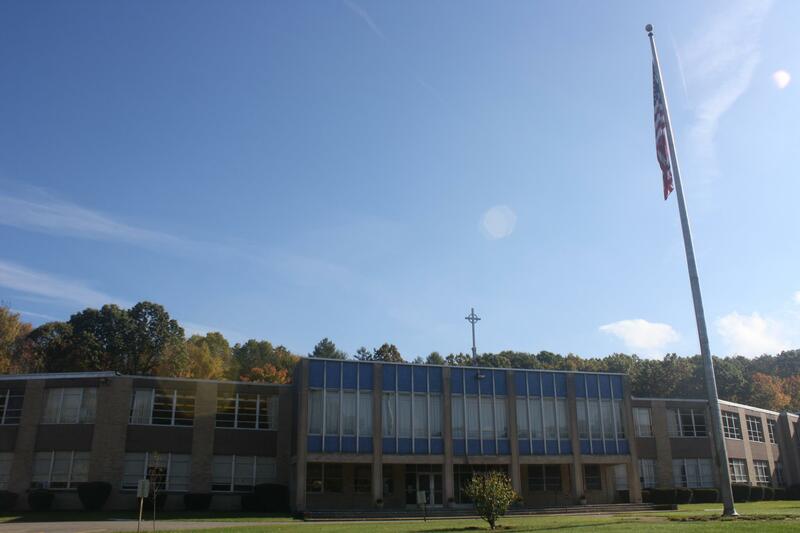 Adult Ladies at Venango Catholic – 5 showers. Teen girls at Venango Clarion Campus 10 showers. There are separate times for adults and teens. Program Area- Program Area will be in Venango Clarion Campus, which has air conditioning. Sleeping Arrangements- All Campers Sleeping in Venango Catholic High School. Its capacity is 300 campers. Waldameer Park and Water World is an amusement/water park. It is located at the base of Presque Isle. Waldameer is the fourth oldest amusement park in Pennsylvania, and the tenth oldest in the US. The park is admission-free, with a busy midway, well-appointed grounds, and covered picnic facilities. The roller coasters and other major rides require either the display of a paid wristband or the purchase of individual ride tickets. Presque Isle State Park is a 3,200-acre sandy peninsula that arches into Lake Erie. As Pennsylvania’s only “seashore,” Presque Isle offers its visitors a beautiful coastline and many recreational activities, including swimming, boating, fishing, hiking, bicycling and in-line skating. Pittsburghers have an undying affection for this West Mifflin jewel. Kennywood is located about 6 miles from downtown Pittsburgh and has 32 major rides, including 3 wooden roller coasters, a steel coaster, a water coaster, refreshment stands, a cafeteria and shaded picnic groves. There is live entertainment throughout the day. Parking is free.